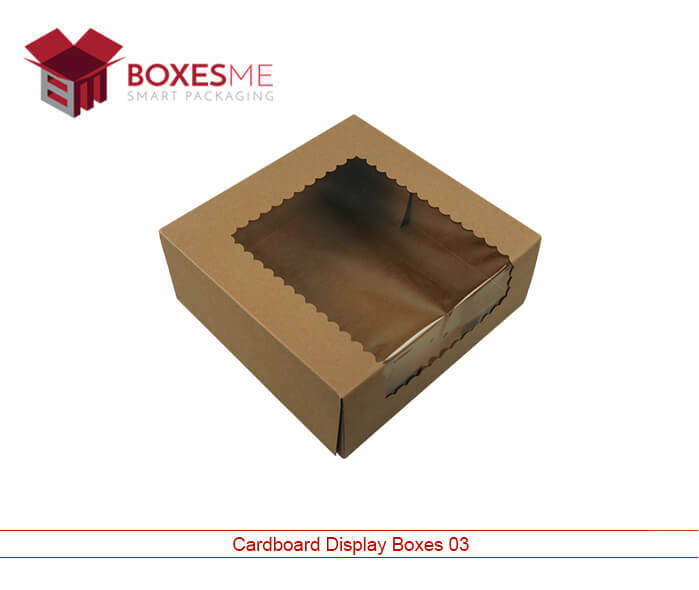 Are cardboard display boxes good for business? One of the major purposes of packaging boxes is to display the product attractively on the shelves. Cardboard display boxes fulfill the purpose perfectly, their elegance and colors attract the customers and make the grocery store aisles enlighten. Cardboard display boxes wholesale can be used for any kind of products as they are custom made to product specific size and shape. Even the printing is made exactly according to the inside product so that the customers can directly relate to your brand. Branding and marketing is very important for the manufacturers and display boxes are great for this purpose as well. 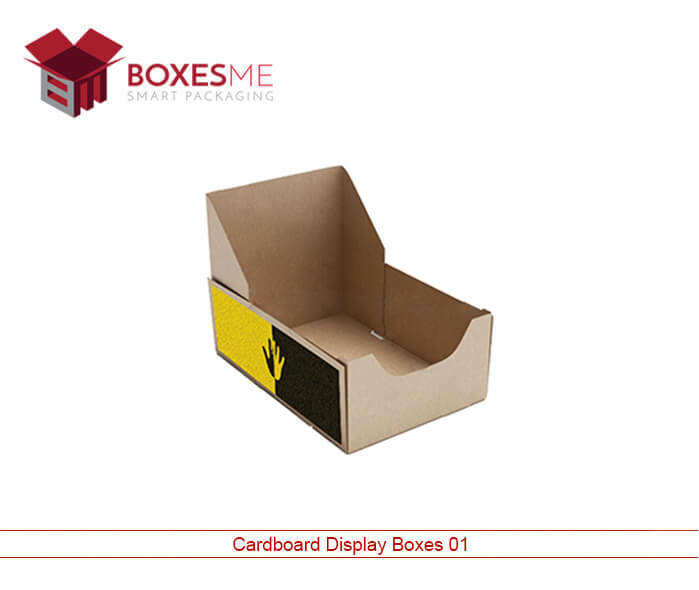 What are the advantages of cardboard display boxes as compared to the other packaging? Cardboard display boxes are preferred over the other packaging because they can fit in every product in them that doesn’t look awkward. Cardboard display boxes wholesale come in so many styles and shapes which allow the customers to think with a broader vision while designing them. This the reason they look unique to the onlooker who want to buy the products packed in them. Moreover, display boxes are specious and can accommodate plenty of products in them easily. Other material cannot display the products as stylishly as cardboard does. Its brilliant feel and outlook glorify the outlook of the product and make the retail store look more appealing for the customers. How to Present Your Custom Cardboard Display Boxes? To stand out from the competitors, you have to get cardboard display boxes as they will help in increasing the sales of your products. Whether they are cosmetic products, apparel or electronics, or any kind of frozen food products. Cardboard display boxes wholesale will help you in making a specific identity of your brand so that you can stay ahead from the market. Number of display styles that feature pop up display, counter top display and other floor display boxes can be customized according the way you want to present your product. Where can you have a Custom Boxes & Printing Services at Wholesale Rate? Print your cardboard display boxes with enticing color schemes and attractive designs to make the boxes your brand identity. Retailers as well as the customers will be able to identity your brand if you use printed cardboard display boxes wholesale. Full color printing can be made available for you so that you can print your brand logo on the boxes stylishly. Other that, if you add die cut window on the boxes, it will allow the customers to see the product without even opening the packaging boxes. Likewise, cardboard inserts and other finishing add-ons will also help to create the best custom boxes for you. 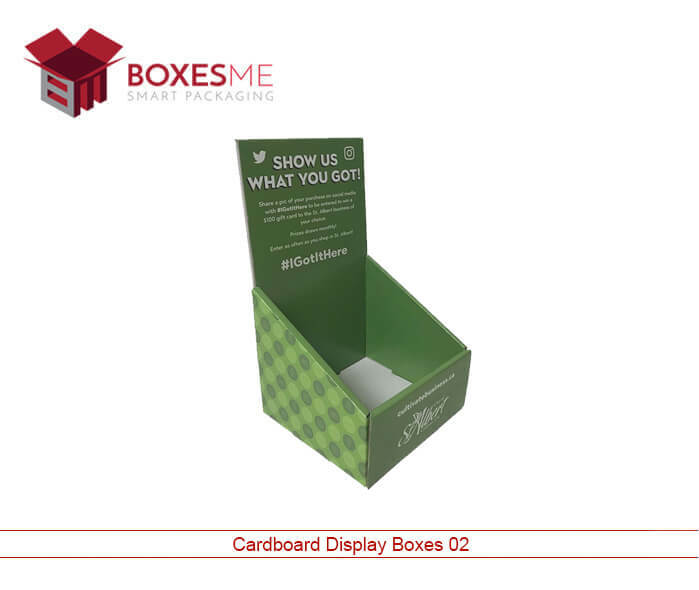 For the best cardboard display boxes, contact BoxesMe now. We will provide such high quality packaging and printing service that you will always choose us for making your cardboard display boxes wholesale. You will get free shipping of your ordered boxes in United States with special discount on wholesale orders.